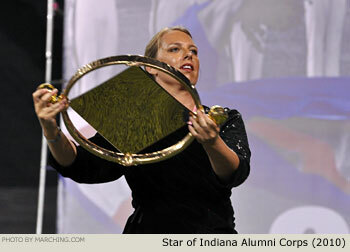 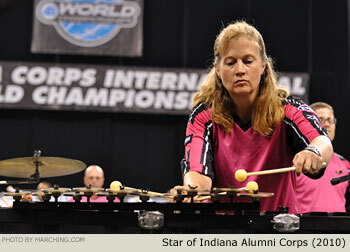 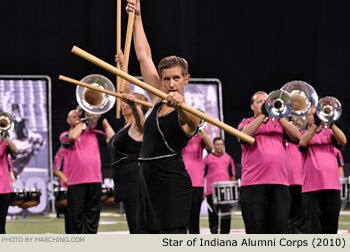 To celebrate the 25th anniversary of the Star of Indiana organization, Star Alumni delivered an exhibition performance during DCI World Championship Semifinals. 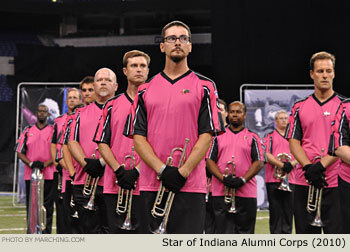 The production was remarkably well coordinated, with musical selections, large photo backdrops and video highlights providing musical and visual excerpts from all of the corps' competitive years. 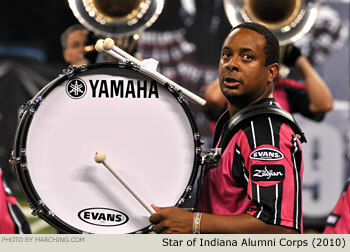 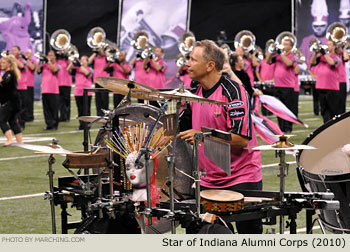 For more details, read a story on DCI.org. 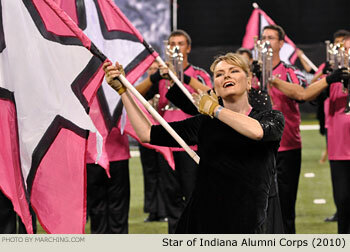 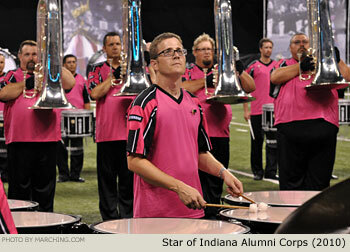 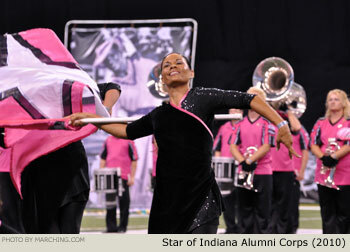 Also see 2010 DCI World Class Quarterfinals photos and 2010 DCI Open Class Semifinals photos.